Romania and Moldova are separated from the Russian plain by the Balkan region. Thus, the states’ special role, which simultaneously is the key to the Balkan-Black Sea region for Russia and the convenient springboard for attacks on Eurasia for the Atlanticist forces. This key role of Romania is recognized by Western geopolitics, which seeks to link its desire to improve its status in the international arena with the US partnership as the most important condition to achieve it[i]. The United States are making efforts to entrench in the region, both in terms of military hard power (bases and missile deployment) and soft power, using the network of influence controlled by the US political figures, NGOs, sponsored by Western foundations (in particular the Soros Foundation), controlled by the US international financial institutions (IMF, World Bank), carrying out the Westernization of Romanian society and political system, the approval of the liberal ideology, and a focus on the United States as the only possible and correct choice of values. The most urgent issue of Romanian foreign policy is the Romanian-Moldovan relations. For Romanian geopolitics traditionally, the territory of Bessarabia, a part of the Moldavian principality, attached in 1812 to Russia, has always been of great interest. The dramatic events of the 20th century, such as the 1918 creation of Greater Romania, which included Bessarabia, then the 1940 assignment of the area to ​​the USSR and the formation of the Moldavian Soviet Socialist Republic was reflected in the Romanian national identity. The Bessarabian issue is urgent for Romanian state management. The attempts to solve it by establishing a special relationship with the Republic of Moldova, even by the possibility of uniting the two states in one is typical for the eastern vector of Romanian foreign policy. These always affect the relations between the two countries and the prospects of a settlement of the Transnistrian conflict, where one of the triggers was an increase in unionist (predisposed in favor of unification with Romania) sentiment in the Republic of Moldova, even on a subjective level of the Romania's foreign policy expansionist tendencies. The National Security Strategy of Romania and the Romanian Ministry of Foreign Affairs identifies three main areas of its foreign policy: the Black Sea region, the Western Balkans, and the Republic of Moldova[ii]. In general, Bucharest aims to achieve, if not the leading, but at least the organizing role in the processes that are visible in these three regions. In the Black Sea, Romania, together with Bulgaria, actively promotes the idea of ​​Black Sea cooperation within the framework of the Black Sea Economic Cooperation and the Black Sea Forum for Partnership and Dialogue (actually Romanian project, started in 2006). Offered by Poland and Sweden, the Eastern Partnership caused serious discontent with Bucharest and Sofia, as it prevented Romania and Bulgaria to take over dialogue with the majority of the countries that are included later in the Eastern Partnership. However, Romania continues to defend the Black Sea vector of its policy[iii], stressing in this area now primarily Russia and Turkey. It is interesting that the previous National Security Strategy of the country, which in 2015 partially changed the defense strategy of the country, contradicts NATO’s plans to strengthen its presence in the Black Sea, as it said that primarily regional actors should solve regional problems[iv]. 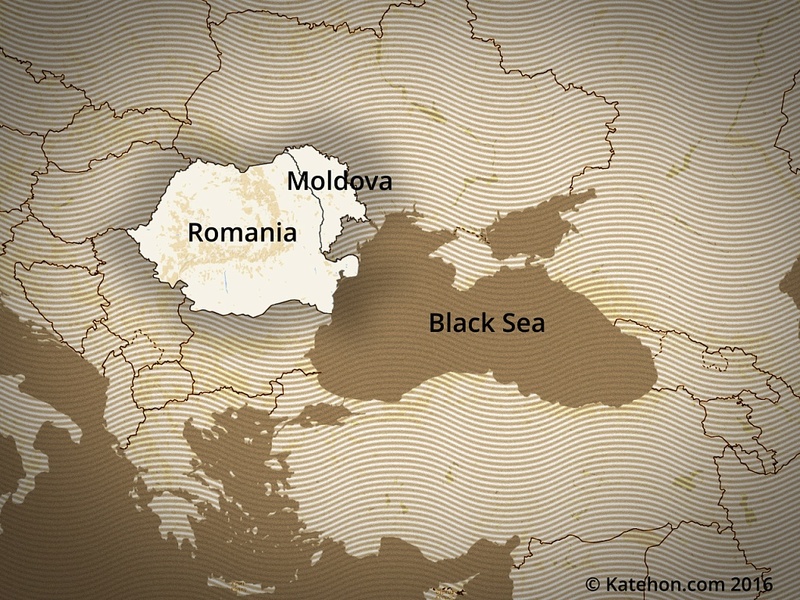 The attention that the Romanian foreign policy draws to the Black Sea region is not by chance, but is the result of serious scientific and foreign policy tradition, started by Gheorghe Bratianu[v] and the classical Romanian geopolitical Simeon Mehedinţi. It was he who substantiated the natural geographical borders of Romania on a theoretical level of Romanian geopolitics in the early 20th century. According to Mehedinţi, in the east, they must pass thought the Dniester, i.e. include Bessarabia[vi]. In terms of geopolitics, control over Bessarabia is strategically important for control over the Danube river system and its access to the Black Sea. Modern Romanian researchers continue to insist on the special role of their country in the region that is embodied in official documents. However, the Black Sea Romanian initiatives meet serious obstacles, among which are not only limited financial, military, and political resources of the country (with a clearly articulated political will), but also the fact that it imposed a difference of interest between Romania and some NATO countries in the Danube region, as well as normal relations with Ukraine[vii], as Costin Ionescu notes. The second important area is the Western Balkans, especially Serbia. Romania as a NATO and European Union member-state will lobby its interests in the Western Balkans countries in these organizations, helping them to join NATO and the EU. First of all, Romania addresses to Serbia, which traditionally has good relations, and corresponds to the course of the present Serb leadership. It is worth noting that Romania is a NATO and EU member country that refused to recognize Kosovo's independence, which improves the relations between the two countries. The third most important area of ​​foreign policy of Romania is the relationship with the Republic of Moldova, which is based on the one nation - two states principle, according to the SNB-2007. However, it does not mean that Bucharest rejects the idea of the two states’​unification. The policy on Moldova is related to the priority of Romania's foreign policy: support for Romanians abroad. These include not only numerous Romanian diaspora in southern European countries: Italy, Spain, Portugal, which appeared after the recent emigration, or diaspora in France and the United States, which appeared in the war and post-war period, but also the Romanians who live in their historical lands outside Romania, as well as their related Eastern Roman ethnic groups - Aromanians, Megleno-Romanians menglenorumyn, Vlachs in Serbia and Bulgaria (Timok valley), Romanians and Moldovans in Northern Bukovina and Southern Bessarabia (Ukraine), as well as the rest of the Moldovan population from the Prut River to the Southern Bug (the premises in Romanian occupation zone during the Great Patriotic war). These regions are regarded as some kind of zone of influence, along with the Romanian State the Romanian Orthodox Church, in particular the Metropolitan Church of Bessarabia, which is actively trying to affect them. The scientific rationale for this policy can be the concept of the East-Roman ethno-linguistic geopolitical bloc, colliding with the Slavic ethno-linguistic unit in South-Eastern Europe, which is being developed, in particular, by the prominent contemporary Romanian geopolitics and sociologist Ilie Bădescu[viii]. The Romanians are close to Russians, Bulgarians, Serbs, Macedonians, and Montenegrins, as they all are Orthodox. However, from a doctrinal point of view, Romanian geopolitics has a clear tendency to ignore this integrating factor and even religious justification for this opposition to Russia. We should regard the so-called Geopolitics of Orthodoxy, developed by S. Mehedinţi. In terms of Romanian geopolitics, Russian distorted the true meaning of the Orthodox faith, turning it into a tool of its geopolitics. "Eastern Imperialism rose against Western imperialism,” he said. “The supporters of the Slavs did not hesitate to make Orthodoxy a political tool, introducing Russians as chosen people aimed to play the role of Israel through Orthodoxy. [ix]” The denial of the Third Rome idea leads to the denial of the need to focus on the Russian Orthodox states. The need for unity with the Russian Orthodox Church in such circumstances is also doubtful, as it is understood as the result of both past and future prerequisites of Russian geopolitical expansion. Bucharest has a particular interest in the Republic of Moldova, as Romania owned South Bessarabia and Northern Bukovina in the interwar period - now they belong to Ukraine. The territorial dispute over Snake Island and its oil shelf, which was settled in favor of Romania, increases the degree of tension between the two countries. At the same time, Romania performs most actively in the Moldovan and Transnistrian areas within the framework of “natural geopolitical boundaries”, worked out by S. Mehedinţi. Romania supports Moldova's accession to the EU, which, in general, is positively perceived in the Republic of Moldova, and aims to take a direct part in the resolution of the Transnistrian conflict by taking part in the negotiation process[x]. In addition to the territory of the Republic of Moldova, controlled by the government in Chisinau, Romanians pay attention to the PMR territory. As was mentioned, S. Mehedinţi made a natural border of Romania (in his view, a natural border between Europe and Russia) on the Dniester River. Dniester has an important symbolic status, separating Europe from Russia-Eurasia. Romanian geopolitics believed that control of Bessarabia and the Dniester is strategically important for the control over the Danube river system and on the output of the system in the Black Sea. Another Romanian geographer and geopolitical scientist, Nicu Radulescu also argued that the natural border of Europe, part of which was Romania, is on the Dniester river, separating Russian and Romanian, as well as European in general, geopolitical spaces[xi]. Adjacent to the Dniester region is crucial from this point of view. G. Bratianu, the Romanian historian and geopolitics of the interwar period, wrote: “It is impossible to conceive the existence of the Romanian people without Dniester, as it is impossible to conceive without the Danube and the Tisza, they separate us from the Slavic element. [xii]” During World War II, the Romanian geopolitical and social scientists were actively working on “Transnistria” (now this term is used for the 1942 justified promotion of the Dniester previously was called “natural border”) that is the area of ​​Romanian Soviet territory occupation between the rivers Dniester and Bug, the need to control the border line that separates Europe from Russia, having been the eastern border of the civilized Europe and the Great Steppe was on the Dniester a long time ago[xiii]. Romania’s offensive to the East was approved by the desire to secure Europe in general. Another geopolitical scientist Vintila Mihailescu pointed out that Romania, as a “European necessary state” shall occupy the territory beyond the Dniester too, ensuring the security of Europe form the Eastern pressure[xiv]. Modern Romanian geopolitical scientists also introduced the concept of the necessity of Romanian control over Transnistria, or at least Russia’s withdrawal and the elimination of the existing de facto Transnistrian statehood. Thus, the most famous contemporary Romanian geopolitical scientist, head of the Center for Geopolitics and Visual Anthropology at the Bucharest University, Ilie Badescu, considers Transnistria as the historical Romanian territory which is, however, under the control of Russia, where “Russian ethnic nationalism is aimed against the Transnistrian Romanian ethnic community. [xv]” A similar view is introduced by his colleagues and students Dungaciu Dan, who is considered the leading Romanian expert on Moldova and Transnistria[xvi]. Regarding the Russian presence in the region, the Romanian geopolitical scientist formulated the following maxim directly related to the Transnistrian issue, namely the deployment of Russian peacekeepers: Romania’s access to the Black Sea and the related communication, especially communication with the sea of ​​the Danube river system, may be safe only if the Russians withdraw from the mouth of the Danube[xvii]. Thus, the Black Sea, the Moldovan and the Transnistrian areas of the Romanian foreign policy should be considered incomprehensively. Transnistria’s geopolitical value for Romania, on the one hand, is an outpost of Russian influence, and, on the other, a factor preventing implementation of the unionist tendencies (the political forces in Moldova who seek the country’s reintegration, understand that aggressive Romanism and unionism are absolutely unacceptable for the majority of Transnistria), it was conscious to the conflict appearance. Another factor drawing the special attention to this issue, was Romania joining NATO and the EU, and the pursuit of these structures to spread their influence further to the East. For the alliance, Russian presence in Transnistria and objective obstacle as an unresolved conflict, preventing the deployment process for the accession of Moldova to the alliance, became especially sharp after the Romania accession, when NATO borders in the southwest direction come closer to the boundaries of the former Soviet Union. Before NATO and the EU insisted on the withdrawal of Russian troops from Transnistria (which would mean the actual of the PMR), thus interpreting the Russian obligations at Istanbul OSCE Summit in 1999. They continue to do it now. However, after Romania joining NATO in 2004, the North Atlantic Alliance got a member that can actively start solving problems, moving towards Moldova and Transnistria. Romania has found significant resources for support for its geopolitical ambitions. It can be concluded that the interests of both parties in the Moldovan and Transnistrian directions are quite similar. A) Romania supports the sovereignty and territorial integrity of Moldova and wishes to participate in a solution to the Transnistrian conflict. B) Transnistria is an integral part of Moldova, currently controlled by a criminal regime, representing a danger for the whole region. C) Romania supports Moldova's movement to the European and Euro-Atlantic structures and requires its involvement in the negotiation process. D) Russian troops must be withdrawn from the Transnistrian territory. E) One element to solve the conflict should be the democratization of Transnistria and Moldova thought the joint efforts of the international community and local pro-Western NGOs[xviii]. [i] Moroney J. D.P., Hogler J. Romania’s Role in the Black Sea // The DISAM Journal, 2006. Pp. 27-34. [iii] Gavrilă G. Cooperarea regională în Zona Extinsă a Mării Negre // Impact Strategic. 2009. N4. (33). Pp. 56-89. [iv] Strategie de Securutate Naţională a Romîniei – 2007. P. 32. [v] Бэдеску И. Русские и румыны – православные христиане, связанные судьбой общих региональных пространств. [Электронный ресурс]: Информационно-аналитический портал «Геополитика». – Режим доступа: http://geopolitica.ru/Articles/953/ (дата обращения – 15.09.2011). [vi] Mehedinţi. S. România în marginea continentului. O problema de geopolitică romanească şi europeană. Bucureşti, 1914. [vii] Ionescu C. Marea Neagră – un pivot geopolitic în dispută? // Geopolitica. 2005. № 1(5). P. 44-48. [viii] Bădescu I. Tratat de geopolitica. București, Mica Valahie. P. 195. [ix] Стрэуциу Э. Симеон Мехединць и румынская геополитика. Геополитика.ру. [Электронный ресурс] URL: http://geopolitica.ru/Articles/1029/ (дата обращения – 19.07.2011). [x] В настоящее время действует международно признанный формат «5+2», где Молдавия и Приднестровье – стороны конфликта, Россия, Украина и ОБСЕ – участники переговорного формата, США и ЕС – наблюдатели. [xii] Цит. по: Dobrescu P., Bârgaloanu A. Geopolitica. Bucuresti, 2001. P. 61. [xiii] См. : Dobrescu P., Bârgaloanu A. Op.cit. [xiv] Цит по. : Bădescu I. Sociologia şi geopolitica frontierei. Pp. 124-125. [xv] Badescu I. Tratat de geopolitica. Bucuresti, 2004. P. 106. [xvi] Dungaciu D. Cine suntem noi? Cronicii de la Est de Vest. Chisinau, 2009. P. 278-331. [xvii] Dobrescu P., Bargaloanu A. Op.cit. P. 59. Pop A. (coord.) Romania si Republica Moldova – intre politica europeana de vecinatate si perspective extinderii Uniunii Europene /Adrian Pop (coordonator). Bucuresti, 2005. P. 89-93.